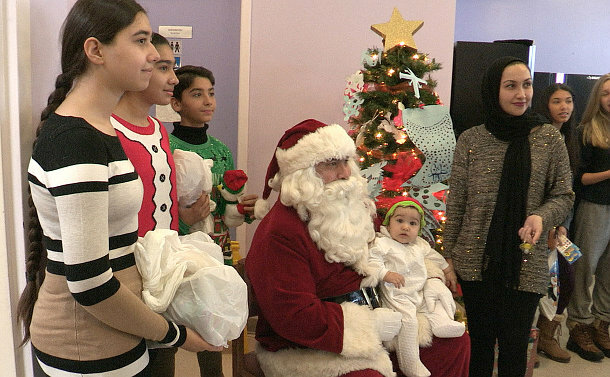 A group of Auxiliary and Police officers had the chance to play Santa this Christmas season delivering toys to four women's shelters. "It's great, it's amazing that you're making sure these kids have a real Christmas," said one mother. "You guys are showing them that there is people out there who care." 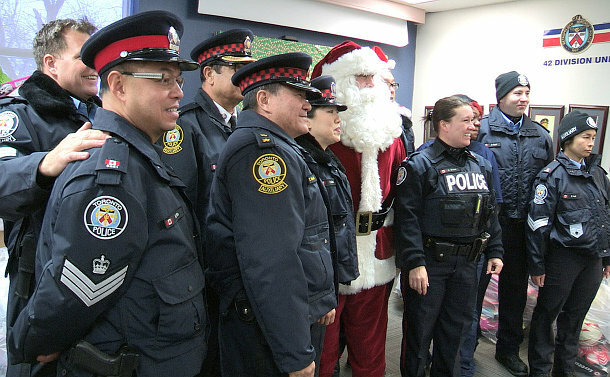 Auxiliary and Police officers delivered the toys on December 16 along with community volunteers on TTC buses escorted by police vehicles. Auxiliary Staff Sergeant Rick Jordan said it takes about five months to prepare for delivery day but the payoff is well worth it. "There are a lot of families that need support at this time of year. They need gifts, they need a smile, so I'm proud to be part of this," Jordan said. Auxiliary Officer Kate Kourgemagi said it's great that the community gets to see Toronto Police during a celebration and not only responding to a crisis. "We want to show them that we are there for them and there doesn't have to be someone in trouble for us to show up there," she said. "It warms my heart that a child can wake up on Christmas morning and say 'I have a Christmas present.'"